Healthcare providers such as hospital are now facing pressure to adapt to changes in the industry. These are mostly due to healthcare reforms, continuous development of technology and consumerization. These factors are driving hospitals to leverage technology in order to improve services and provide better customer experience. One of the best ways to do this is for them to outsource is to partner with digital enablers who can help them achieve their goals. 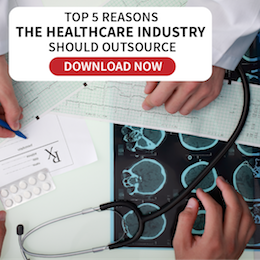 Here’s a short list of what high-tech hospitals can outsource now. This demand for mobile applications and wearables is brought about by patients’ desire to play a more active role on their health and on how care is provided to them. High-tech hospitals must then work with developers to create these apps and wearables for them in order to cater to this new trend. Outsourcing data and predictive analysis about the patient and his environment can provide better predictions that could help doctors gain better knowledge, make efficient assessments and provide the right and most timely interventions to their patients. Doing this can lessen the cases of readmissions, occurrence of adverse events and help identify worsening health states. For instance, the Michael J. Fox Foundation for Parkinson’s Research partnered with Intel to develop a new initiative that will mine data from wearable devices in order to detect patterns in the progression of the disease. The IDC Health Insights also predict that “By 2020, 80 percent of healthcare data will pass through the cloud at some point in its lifetime as providers increasingly turn to the cloud for data collection, aggregation, analytics, and decision-making.” As more and more data is collected from patients at a faster rate, hospitals are going to need a place to store them safely. 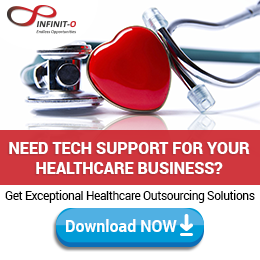 Outsourcing companies can assist them too in this way. Hospitals need to adapt to the many changes occurring now in the industry and they can’t be expected to do it all alone. 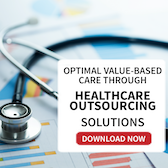 Partnering with outsourcing companies will enable them to focus on their core functions and improve the overall customer experience, which is exactly what great healthcare is all about.